A wonderful take on the inspiration. So pretty and soft. So beautiful! I love the pretty effect of the inked flowers! And of course, I love that sentiment too - I think that's one of PTI's best sets ever! So glad you joined us at Muse this week! Beautiful, Shirley! Love the pink and green! What a beautiful take on the Muse challenge!!! Love those flowers!! Soft simple and beautifully made. Excellent Shirley. Happy indeed! I love it! Lovely Shirley!!!! Wonderful take on MUSE and the FUSION challenge! Beautiful stamping on this Shirley! it looks like watercoloring! 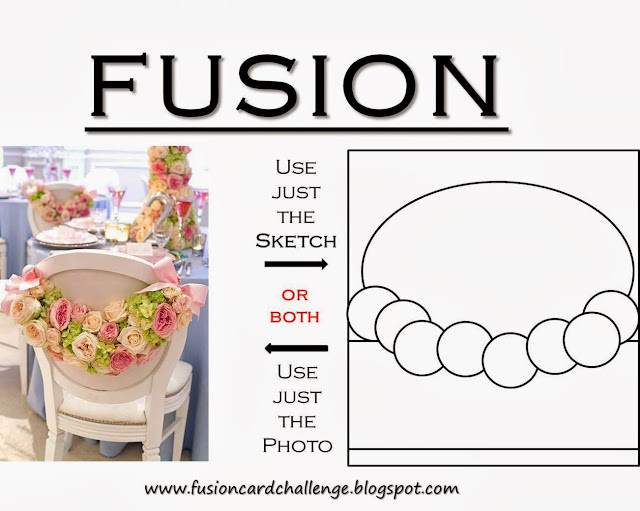 thank you for joining in on the Fusion Challenge! Literally..."simply" gorgeous! Love the colors and love the beautiful sheer ribbon bow! Perfect way to send anniversary greetings to the celebratory couple! Gorgeous! So soft and pretty with the floral background and great touch with the sentiment! This is just lovely. The variation in the intensity of the colors really makes the card. This is absolutely gorgeous :) thank you for sharing with Fusion !! WOW! Such a gorgeous card, Shirley! I love how you stamped the flowers and stamped over them with your sentiment! I was trying to refrain from buying that PTI stamp set, but it's no use...I am weak after seeing your card! Wow, Shirley! This card is FABULOUS! Thanks for joining us at Fusion!